ParcelTrack keeps you up to date on the status of your shipment, delivery forecasts and who accepted a parcel in your absense. You decide on how close you want to follow the progress your shipment makes on it's way. Whether you are at home with your tablet, in the car with your mobile or at the desk in your office, ParcelTrack is available on all your devices. The synchronization of all your devices keeps all you orders in one clean place. Regardless of the delivery service that ships your package, ParcelTrack provides a single beautiful interface to keep track of your shipments. Spare yourself the hassle of visiting various tracking sites and getting lost in technical details of their tracking systems. Follow your package in real-time with the finger on the map, as ParcelTrack makes use of the GPS-location of the delivery van. This is the closest you can get to your shipments in delivery. Never miss your package again. Have you ever been waiting for an exciting new item that you ordered online and kept scanning the street for the delivery van? ParcelTrack is the perfect tool for everyone who is excited about the delivery van: It shows you it's GPS-location on a map, in real-time. Currently this feature is supported by DPD in Europe. As delivery services aim at increasing the quality of their service, a growing number of carriers will become part of ParcelTrack’s LiveTracking. Stayed at home last saturday for the whole day awaiting an important shipment? ParcelTrack informs you about delivery forecasts provided by the carriers and allows you to plan your day as you wish and be home right for the delivery of your shipment. Currently DHL, UPS and FedEx among others provide delivery forecasts. Tracking shipments from online shops has never been easier. Simply forward delivery emails from places like Amazon to your personal ParcelTrack Inbox. The ParcelTrack server conveniently adds the order to your ParcelTrack account and keeps you up to date on the progress of your delivery. We keep training the inbox to understand the formats of an increasing number of shops and conveniently add the order's title and sender to your account. 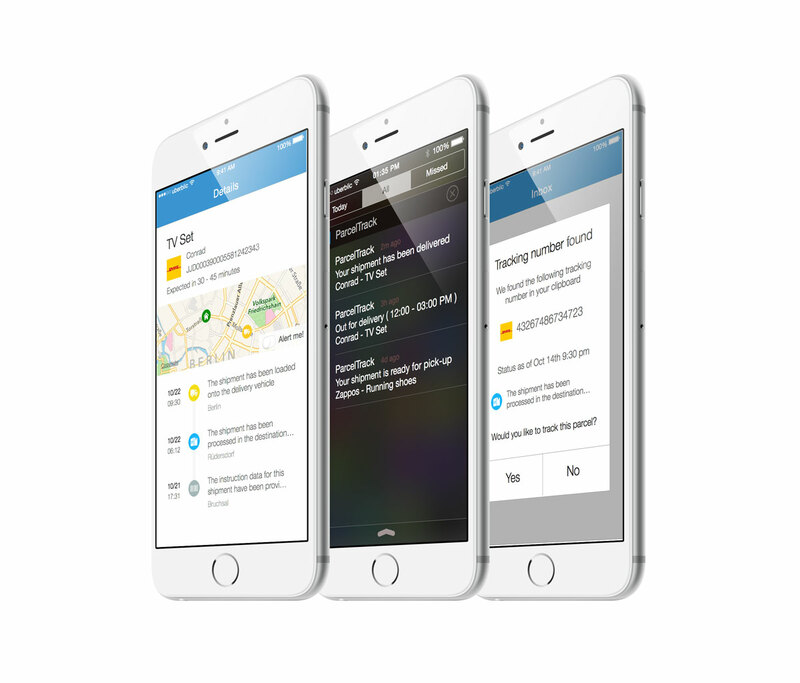 Use ParcelTrack on your mobile device and keep tracking your parcels at home on your tablet or at work on your Mac. 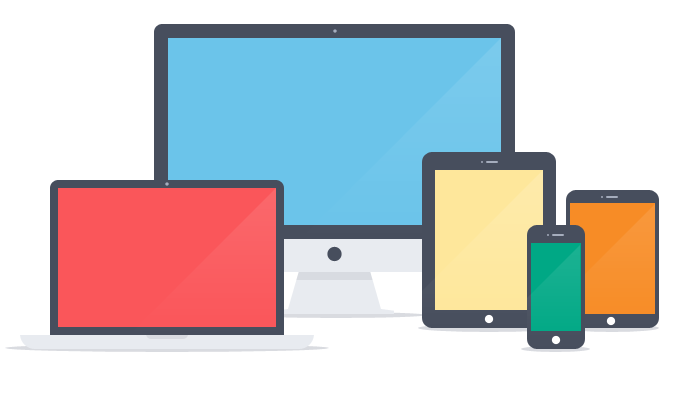 With ParcelTrack-Sync you can easily synchronize ParcelTrack between on all of your devices and across the platforms. 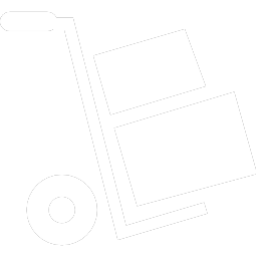 So far ParcelTrack is available for iPhone, iPad and Android devices - a web app and a Mac app are underway. Add new orders by forwarding delivery notifications from online shops like Amazon to your ParcelTrack Inbox. Track your delivery van in real-time with the finger on the map. Know when your delivery is scheduled. Use ParcelTrack on your phone and keep tracking your orders at home on your tablet. Keep all delivered orders in one place in ParcelTrack archive. Enter a tracking number and ParcelTrack automatically detects the delivery service. Share outbound shipments with your customers or incoming orders with family and colleagues. 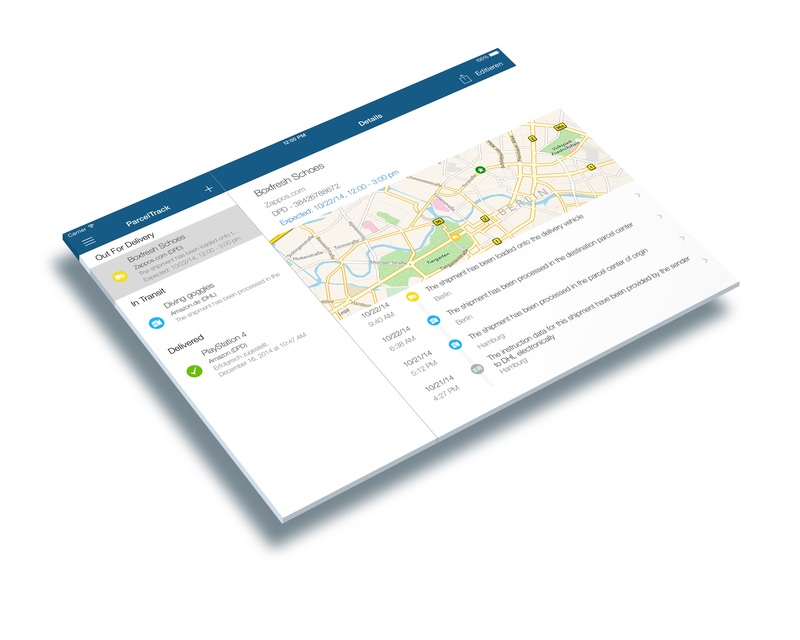 Locate every delivery event on a map. Shipping your own packages? Simply scan the barcode of your shipment. Organize your push notifications to according to your preferences. ParcelTrack is more than just a single app, it is a complete solution for keeping track of your orders on all your devices. Be notified on an estimated delivery time on your phone in the subway, add a new shipment by forwarding an email to your ParcelTrack inbox at your desk, organize your orders at home on your iPad and share a shipment with your roomie's Android device. "The app that I've been waiting for "all in one" parcel tracker. It's the best app out there with this feature. I can track all my parcel from all carriers in one app, great job developers." "Thank you so much. I just opened up an online shop and this helps tremendously. I can easily check if a customer has received their package of not. Also, love the minimal design." "Shipment-Tracker ParcelTrack: Locate your mailman. [...] Enough time for a quick shower or is the mailman about to ring the door bell?" "Keep track of your orders: The free shipment-tracker ParcelTrack provides not only regular status updates, but also delivery forecasts for your shipment." ParcelTrack is a product of Uberblic Labs, a team of developers and designers specialized on data integration and mobile apps from Berlin, Germany.